Automatic fire extinguishers are particularly suitable for the engine compartment : installed permanently, it operates automatically when the ambient temperature within the engine compartment reaches 79°C. It can be used on all kinds of fire, except metal fire. 2 kg ABC 38368 378 mm 108 mm 2.800 kg 10 sec. 1 kg ABC 38367 242 mm 82 mm 1.450 kg 6 sec. A fire extinguisher must be placed close to critical areas (engine compartment, galley, batteries...) and should always be easily accessible from inside as well as outside. 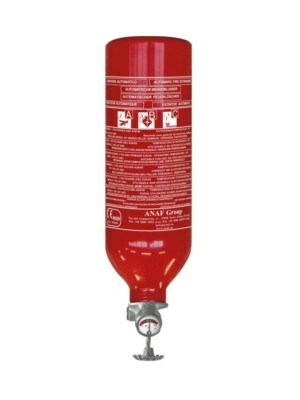 To ensure a perfect operation, we recommend that you have your fire extinguisher checked periodically by a professional.